On November 13, 2009 Apple earns important legal victory in the copyright-infringement action against Psystar, a Florida company that sells counterfeit Macs. United States District Court for the Northern District of California awarded the summary judgment win. Seven additional claims against Psystar including breach of contract, trademark infringement, and trademark dilution remain for trial. Psystar is a Florida based company that sells “clone” / counterfeit computers they advertise as running Apple’s Mac OS X. The company did this against Apple’s EULA, and other Intellectual Property protection measures. 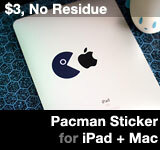 Psystar is also potentially liable for using Apple’s Trademark illegally. Apple took them to court to protect its intellectual properties. The case is waiting for trial in California with United States District Judge William Alsup presiding. Latest development: Psystar’s defense continues to fall short. In its request for summary judgment, none of the Psystar arguments is successful in court so far. 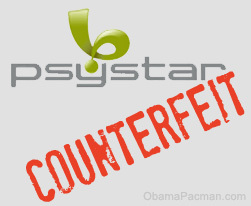 Instead, in the eyes of the law, the court determines Psystar “admitted counterfeit” with the very same evidence Psystar provided to court which they hoped will defend itself. Isn’t that ironic? It could be described by the lyrics of a popular song “Knock You Down” featuring ft. Neyo. Kanye West sings: “This is bad, real bad Michael Jackson.” So, who is bad? Apple’s motion is GRANTED and Psystar’s motion is DENIED. But how did the court come to that conclusion? Apple Unfair / Greedy / Stifling Competition? While the court findings are clear, armchair pundits, with questionable understanding of copyright and intellectual property protection, quickly decries Apple as being unfair, greedy, stifling competition, among other things, without looking into details of the actual court findings. With bulk of Psystar’s arguments failing under court scrutiny, it’s time to bust some Copyright Myths. This article contains the highlights of the recent summary judgment and the significance of this lawsuit. Depending on your point of view, it may or may not be as entertaining as Mythbusters. There won’t be any explosions, but there will be a good amount of material for the logic part of the brain.